My guest today is the very talented Latina author Julia Amante. A fellow Examiner, Julia is here to talk about her latest novel, Evenings at the Argentine Club, scheduled for released by Grand Central Publishing on September 25th, 2009. Julia Amante is the pen name of Lara Rios. Lara had the misfortune of growing up away from the extended family that is so valued in the Latin culture, but missed out on very little of what it means to be Argentine. Asados were sacred meals shared together on weekends. Cheering for the Argentine soccer team was a must, as were the weekly pilgrimages to the Argentine Club in Los Angeles where the young Americanized kids hid under the tables and watched the adults dance tango until the wee hours of the morning. Lara giggled right along with the rest of the kids at how “geeky” the parents looked, but secretly, was intrigued by the romantic culture and passionate music. Not a surprise to most of her family members that she would grow up to write romance novels featuring Latino characters. Lara believes in love and happy endings, and all the magnificent emotions romance novels offer their readers. Lara lives in California with her husband, son, daughter, and one pampered dachshund. When she’s not writing she enjoys challenging herself physically. Feats to date include five marathons in one year; biking down a volcano in Hawaii; and the latest – walking across a fiery bed of burning coals all the while praying she didn’t become another of her father’s asados. But of course, spending time with her family is what she treasures most of all. Thanks for this interview, Julia. It’s a treat having you here today. Tell us a bit about how you started writing and your first road to publication. I’ve been writing forever, but when I sold to Grand Central, I had taken my kids to a piano camp where strict piano teachers wanted absolute silence. My cell phone went off and it sounded like a fire truck passing through a church. I scrambled to get it out of my purse, and when I answered, it was my agent with an offer from Grand Central to buy the manuscript that became Evenings at the Argentine Club. I was so excited that I ran out of that piano room, ignoring the frowning teachers and shouted as loud as I wanted. Congratulations on the upcoming release of your novel! What was your inspiration for it? Since my parents were immigrants and their journey really impacted my life, I always wanted to write a story about what it’s like to move away from everything you know to start a new life. It amazes me that people can do that, and I’ve always felt that it was extremely courageous. The realities often turn out different from what immigrants expect, and this has been true for all groups, from long ago pioneers moving west to immigrants today. But what really sort of pushed me to pursue this idea was a gift my grandmother gave me a few years ago when I went to Argentina to visit her. She gave me a notebook full of letters that my father and my grandfather wrote to each other when my father first moved to America. His entire first couple of years in New York were there for me to read. Reading the letters full of my young father’s dreams and hopes was unbelievably moving. As a child, you never think that your parents were once twenty, uncertain, and full of dreams that didn’t include you. Sadly, his American dream didn’t turn out like he expected, but in Evenings at the Argentine Club I had control over my character’s outcomes, which allowed me to create a nicer story. How long did it take you to write it? What were your writing habits like? For this book, it took me a way over a year from beginning to final draft. But this was because when I originally turned in the first copy of my manuscript, I had concentrated on the main character, Victoria’s weight issues — the immigrant story was in the background. Luckily, my editor saw the real story hidden underneath, which was the relationship between Victoria and her immigrant parents, and helped me focus on what was really important in the story. Once I rewrote the book, concentrating on the deeper aspects of the plot, this story really blossomed. But it took a while to get there. I think as writers we are sometimes reluctant to write things that are too close to us. In general though, I’m finding that most of my books are taking a year to complete these days. I have to work late at night when my family goes to bed (like many authors do), which doesn’t allow me to produce as quickly as I used to. For me, as long as what I finally write is quality work, one book a year is enough. Do you get along with your Muse? What do you do to keep her happy? Absolutely. I don’t believe in writer’s block. When it’s time to work, I tune everything else out and simply write. People that call me while I’m working will often ask if I was sleeping because I’m so into the world of my book, and it happens instantly, the second I hit my computer. I read once that Agatha Christie got her best ideas in the shower, and that Steven Spielberg gets his while driving on the highway. Where do you get your best ideas? Hmm, just from observing life and people. Because I write about relationships, I observe people all the time. I listen to radio talk shows about people’s problems – real people are much crazier than book characters! Other than that I think I’m always seeing possible stories. Most, when you sit down to write don’t amount to much, but other do. Do you have a website and blog where readers may learn more about you and your work? Yes, my website is www.JuliaAmante.com, my blog is at http://juliaamante.blogspot.com, and my facebook page is here. You also write for the Examiner. Tell us all about your column! Sure! This is completely unrelated to my fiction writing. The reason I decided to write for Examiner was because being a home schooling mom, and a teacher as well as a writer, I found myself giving writing advice a lot to parents. So, I thought this would be a perfect way to share what I know about writing with other mom’s trying to help their kids, and with young writers who themselves are interested in writing. I’m constantly looking things up for my own children, so why not share information with others as well. It’s very different from writing books, and it allows me to combine my two loves, writing and teaching. I’ve learned a lot about writing articles, which is great. Finding images is the hardest part! My next book is titled (for now) Family Vines, and it’s about a woman who owns a winery, and is suddenly thrust into motherhood when a family member dies in an accident and leaves her as sole custodian of her children. But after a lifetime of running a business, the last thing she wants is to now become responsible for children. Thanks for the interview, Julia! Evenings at the Argentine Club is now available for pre-order on Amazon and B&N. 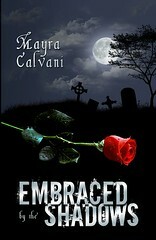 –Mayra is an author and book reviewer, visit her at www.MayraCalvani.com. Deborah J. Copeland is a native New Yorker from the Boogie Down Bronx. She captures her memories and experiences coming of age in her North Bronx neighborhood in her books, The Kids at Latimar High and Spring Fever, Pink Snowballs, and a Splash of hater-aid. She holds a Bachelor’s Degree in Library Science from UMA and a MFA in Creative Writing from UCLA. 1) Please tell us a little about yourself and how you started writing. When I was little I started writing plays. I took it so far that I hand-picked my childhood friends to play the actors. We rehearsed on the stoops and in our backyards, taking turns with our meeting spots. One summer we performed our first play that I had written, “Little Miss Broadway,” in my parent’s backyard. We made tickets: $.50 cents for the adults and $.25 cents for the kids. My friend’s parents donated chairs and before you know it, neighbors filled my parent’s backyard, and we had a show going on! We made about $45 dollars that summer. It was a great feeling! I remember my friends’ parents shaking my hand and calling me Miss writer/producer. I fell in love with writing after that. Not to mention that every summer my friends and I put a show on and made money every time! We did everything from variety shows, beauty pageants, puppet shows, and original plays. By the time I graduated from high school, I knew I wanted to be a writer. 2) Thanks for being my guest at the Dark Phantom, Deborah! Tell us about your YA novel. I hear it’s the first in the series and you’re already at work on the second one. The Kids at Latimar High is a YA novel that follows a close nit group of friends coming of age in the Bronx, New York, all through their high school years. The two main female characters, Lauren and Rosalyn, couldn’t be more opposites. Lauren is the bookworm, who writes for the school paper, and Rosalyn is the pretty and popular cheerleader. When Lauren gets a hot assignment to interview Kevin Johnson, Latimar High’s star quarterback, she’s suddenly in competition with just about every girl in the school vying for his attention, including her best friend Rosalyn. And suddenly, the two find themselves breaking their sacred “Girlfriends’ do’s and don’t codes to live by.” The girls must come to terms with their friendship and decide what’s more important: the love of a boy or a friendship that can last a lifetime. I just wrapped up the sequel, Spring Fever, Pink Snowballs, and a Splash of Hater-aid, and I’m shopping it around for an agent. I’m in love with my characters so it was hard for me to take a break. I’m currently working on the third book in the Latimar High Series. 3) How was your trip to publication? especially when you get positive results. The downside is marketing a book can become very time-consuming when, as a writer, you just want to write. I have to balance the two every day. 4) What are your working habits like? Are you discipline? I’m like an oxymoron. There are days that I wake up and my day is completely structured and organized: Shower, coffee/breakfast, turn on laptop, check emails and Blogs, more coffee, water the plants, write three hours straight without a break, ignoring phone calls, IM’s until I full-fill my three hours of “creative zone time.” But some days I totally deviate from my own rules and find myself packing to go on a road trip to San Francisco with some friends, like right now! Lol…We’re leaving on Friday, hitting the road for some adventure and fun! 5) You also interview YA authors on your own radio show, The Teen Zone. What compelled you to start your own show? One of the main reasons that I created The Teen Zone was to spotlight Indie and self-published books. It can be very difficult for self published and Indie books to get maximum exposure to the market like traditionally published books. There are a lot self-published gems that are flying under the radar and readers don’t know anything about the author or their books. In addition to promoting self-published books, I also look for multi-cultural books written by Latino authors and authors of color that need more exposure to the market. 6) How may authors get in touch with you about an interview? I just launched The Teen Zone in February of this year and since then I’ve interviewed several YA authors, such as, Sheryl Mallory-Johnson, author of L.A. Summer: Friends ‘Til The Blood End, Sandee Sgarlata, author of The Day After Tomorrow, author, Christina Hamlett, of Movie Girl, and Jo Ann Hernandez author of The Throwaway Piece. I am happy to announce that I’ve been receiving requests from authors, as well as, recommendations from readers about certain authors and their books. 7) Many authors are shy and nervous about being interviewed on live radio. What tips would you give them? Well, first off. Being the people-person that I am, I always talk with the author that I’m about to interview over the phone a day before, or the morning of the show. It puts them at ease about any questions or concerns they may have about being on the show. Usually we end up chit-chatting about What’s Poppin’ in the YA Lit World, which totally breaks the ice, and by the time the show airs, the author is very relaxed and ready for a great interview. 1) Log in at least ten or fifteen minutes early before the show starts to get accustomed to the chat room. 2) Have your interview questions on hand during the live show. 3) If you’re reading from your book, have the book handy and a bookmark between the page that you’re going to start reading from. 4) Have a glass of water or beverage by your side. 5) If you have any websites or Blogs that you want to share with your readers, make sure that’s it written down and handy. 6) And finally, just relax and enjoy being interviewed. 8) Tell us about your sites and blogs so readers may find more about you and your work. I have a couple of sites where I interact with readers and post book news. 9) Is there anything else you’d like to share with us? The easy answer I usually give is that, “I didn’t know how it would turn out!” Perhaps too glib and short an answer but it usually saves a lot of words, an excellent skill for a budding author to develop. I began the book about five years after I lost my job as an airline pilot during the turmoil of the early years of airline deregulation when a corporate raider took control of our airline, drove the company into bankruptcy and used that as a pretext to tear up our labor contracts. There was a great deal of loose talk at the time that it was a wonder that someone had not assassinated this person who was regarded at the time as “the most hated man in the industry.” The obvious answer to this question is that you want your airline pilots to be “rational” people and that “rational people” don’t set out to kill their boss! I contemplated these questions sometime after I decided to return to aviation when my new career as a securities broker went down in flames with the Stock Market Crash of ’87. Faced with the prospect of starting all over at the bottom of the flying business, it occurred to me, what would I do if I were in the mountains on my elk hunting stand and this individual happened to coincidently walk out in front of me? Would impulse overcome rationality? Not knowing the answer, I wrote the first two chapters of the book and set out to find a writers agent. At that time self-publishing was virtually unheard of and unsurprisingly, my first thirty or so author queries were met with total rejection, at least from the agents who had the courtesy to respond. Some expressed shock that I would even consider writing a novel on this subject. As we all know, getting past rejection is easier said than done and I devoted my energies to finding an airline job. I caught on with two charter outfits that promptly went bankrupt themselves before I landed a job with an airfreight outfit and settled into a steady routine that lasted for nearly twelve years. I had thought that I would be able to complete the book since being back in the flying business had presented me with much in potential material and possible story scenarios, but my progress was much too slow. Mandatory retirement from the airlines was followed by a job flying corporate jets and another excuse for the lack of writing discipline. The answer finally came from what we all know too well; to be successful as an author, YOU MUST WRITE! Perhaps it is silly, but it is something we have to tell ourselves every day. I had already come up with the final plot for the book when I was still doing airfreight but it remained for me to set goals: a total page count, a chapter outline and a word goal for each chapter. Once organized, it was “only” a matter of fleshing out the story. I say “only” tongue-in-cheek because it still took two more years to finish, even once I had adopted a more disciplined approach. I was even able to add a denouement to bring the story into the present time and the first edition was published just before the deregulation of the securities and banking industries led to the nearly total meltdown of our economy. It turns out that airline deregulation was only a harbinger of the bad times to come. J.R. Hauptman (pseudonym) has been a professional pilot for nearly a half century. Barely twenty years old, he began as a military pilot and for almost two years he flew combat support missions in the Viet Nam War. Upon leaving military service he was hired by a major airline and was initially based on the West Coast. His flying career was interrupted by the turmoil that racked the airline industry during the early days of deregulation. In the interim, he worked as a travel agent, a stockbroker and even trained dogs and horses. In the late nineteen-eighties, he returned to aviation, flying jet charters and air freight. He concluded his career flying corporate jets and now lives in Florida. He is completing his second work, a non-fictional social commentary and surfs every day, waves or not. You can visit his website at http://www.caddispublishing.com/. J.R. Hauptman is touring the blogosphere with Pump Up Your Book Promotion Virtual Book Tours. 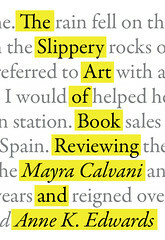 Author David Downie is a native San Franciscan, but for the last 25 years has divided his time between Italy and France. His travel, food, and arts features have appeared in more than fifty magazines and newspapers worldwide. He has been a contributing editor, European arts editor, or Paris correspondent for half a dozen publications. His latest book is the spy thriller, Paris City of Night. For more information about David Downie, please visit his website. Thanks for this interview. When did you decide you wanted to become an author? It’s unclear to me whether I ever made the conscious decision to become an author. I started writing when in my teens. My first attempts were not autobiographical. I was interested in other people, in situations, in conversation and the way we communicate with each other. I only began making my living as a writer in my late 20s. No, no other job: for the last 20-some years I’ve earned a living by writing. Childhood memories are notoriously unreliable, and I don’t pretend to remember details regarding my early passion for words. I read widely when young, but I did not read “children’s books,” other than Pinocchio and the Jungle Book. I read dictionaries and encyclopedias. I read Twain, O’Henry, Stevenson and Dickens, but also Poe and Melville. I was lucky enough to be brought up in a household of readers. We had thousands of books in our living room. When I wasn’t out playing baseball in the street, I read and read. Paris City of Night is a novel of suspense, set in contemporary Paris. It merges the glamorous City of Light—the city’s nickname—with a dark, sinister city of night, with emphasis on the “n.” Many neighborhoods will be familiar to readers, but most will not, unless they’ve strayed into Belleville in the 20th arrondissement, or the Canal Saint-Martin district in the 10th and 11th arrondissements. The book’s hero is an expert in vintage photography and daguerreotypes; the daguerreotype plates are key to unlocking a code. The CIA and other agencies (American and French) want the plates to try to stop a terrorist attack. The people funding the terrorists want the plates for the opposite reason. It’s a complex story peopled by anti-heroes, with a several false leads that keep readers guessing. Paris City of Night is plot-driven, but the characters are fully formed: they eat, drink, sleep, get mad, swear, and do things they would not normally do in life if they hadn’t found themselves in a crisis. Violence is for the most part suggested and not enacted—Paris City of Night is not a blood-and-guts thriller. It’s a fast-paced psychological, political thriller in the tradition of Alfred Hitchcock, whose TV programs and movies I watched over and over when growing up. I was inspired to write Paris City of Night by a number of real-life events—convoluted French political intrigues involving former French presidents François Mitterrand and Jacques Chirac, the hijacking of an Air France flight by Algerian terrorists whose goal was to blow up the Eiffel Tower and also bring down the French government, and a scandal involving the murder of the elderly. Many personal reasons also pushed me to write this book. For a start, I have often helped my wife, photographer Alison Harris, on assignment, and became insterested in the history of photography. I also experienced sudden-onset optic neuritis, and overnight went blind in one eye. The condition plunged me into despair, into a world of distorted black and white images. I spent a lot ot time thinking about vision, photography and perception before writing the book. This personal tragedy coincided with the advent of digital photography and the potential of our digital age to become a world where hermetically sealed, perfect, visual lies are not only possible but probable. Before writing Paris City of Night I sat down and plotted it through, scene by scene. I wrote a detailed treatment—a kind of screenplay for my own use. Once I’d established the direction of the plot and the settings, I allowed myself to riff and improvise. But to call it steam-of-consciousness writing would be misleading. I’m not sure it’s possible to write thrillers or novels of suspense without careful, detailed plotting. Paris City of Night grew out of years on the ground in Europe—primarily in Italy and France—watching the political scene, meeting people, and reading history. I could not have written the book without a background in political science—poli sci was one of my majors at UC Berkeley (the other was Italian literature). I also learned a lot about photography from my experience as a photo assistant to my wife. Then I sat down and read every book on the history of photography and codes, ciphers, etc… that I could get my hands on, and I read a lot of newspaper and magazine articles on the scandals I’ve mentioned above. So, yes, the book did require an immense amount of research, but I hope it doesn’t show. It’s meant to be a seamless entertainment, not an academic work. My best ideas come while I’m walking. I walk about 10 miles a day. It’s entertainment, meditation, relaxation and exercise all in one. I think it’s the measured pace that makes walking so stimulating to the mind. The words come along like musical notes. In fact, a piece of music is often playing in my head as I walk, and the thoughts, ideas and words follow the music and the pace. To be clear: I do not listen to music while I walk. The music is in my head. I abhor the idea of wearing headphones. Constant entertainment is debilitating. My muse and I argue frequently but the relationship is not problematic. If “she” refuses to obey—“inspire” isn’t the right word for me—I remind her that I am trying to earn a living, and must really get on with things. Discipline is the mark of a professional, meaning, someone who earns his living as a writer, whether he’s a hack or a nobel prize winner. I work every day. I set myself goals, and I do my damnedest to reach them. As a young man I ran in quite a few foot races (the 10-kilometer was my favorite). I learned early on that if I wanted to get up and over a hill I had to push myself, and be methodical in my movements and exertions. I re-learned that when in 2006 my wife and I hiked across France. My approach to writing is much the same. One foot in front of the other, word by word, sentence by sentence. For years I stayed up late and got up late, and my best time to work was the afternoon or early evening. That was the price of living in the center of Paris, in a lively neighborhood, going out often and entertaining friends. For the last 5 years or so I have reversed the equation: up early, work early, eat early, to bed early. I spend more time in the country than in the city, and I’m a healthier and happier person. I’m also more productive than ever, despite the loss of vision, and the physical and psychological challenges that come with optic neuritis. I have a wonderful agent, and was lucky enough to have been introduced to her by a fellow writer. I didn’t have to search, and I’m thankful for that. Physical fatigue—in my case eye strain—is a constant challenge. I try to pace myself. I’m a touch-typist, so I close my eyes as often as possible. If I make a typo I correct it later. I also have neck and back problems, like many writers, so I make sure to take the time to stretch. I practice a mix of martial arts and yoga every day, and that helps. The other challenge is to stop writing when I’m tired. You’ve got to know when to call it quits for the day. Stop when you’re feeling good, on a positive note. The classic book tour, with events in bookstores or other venues—clubs, art galleries, whatever—is something I enjoy. You’re in direct contact with your readers. You get instant feedback. For word-of-mouth, book events are probably still the best vehicle going. You often don’t sell many books at an event, but you will sell books eventually because you did the event. Newspapers, magazines, newsletters, blogs will be more likely to talk about you and your book if you’re on the stump. Radio is also great. I love radio! I’m currently writing a history book about a specific institution in Rome, and travel book, also about Rome, and I’m gearing up to write another book about French food and words—the language of French food. Once I’m on the other side of those assignments, I’ll pick up my hero, JAG, and, I hope, get to work on another thriller. To me, writing is a matter of necessity, it’s something urgent and essential. Writing is the greatest reward. If you write primarily to make money, be famous or for posterity, you’re missing something fundamental. Adriana Domínguez has joined Full Circle Literary as its newest agent, effective immediately. Ms. Domínguez has over ten years of experience in publishing, most recently as Executive Editor at HarperCollins Children’s Books, where she managed the children’s division of the Latino imprint, Rayo. Prior to her work at HarperCollins, Ms. Domínguez was Children’s Reviews Editor at Críticas magazine, published by Library Journal. She is also a professional translator, and has worked on a number of Spanish-language translations of best-selling children’s books. At Full Circle Literary, Ms. Domínguez will continue her strong list of children’s picture books, middle grade novels, and literary young adult novels. She will also represent authors writing for adults in the following genres: literary fiction, women’s fiction, and historical fiction. For her adult nonfiction list, she will seek women’s interest, multicultural, pop culture, and how-to books. East Coast representative. She can be contacted by e-mail at Adriana@fullcircleliterary.com. Full Circle Literary is a California-based literary agency. Founded in 2004 by Stefanie Von Borstel and Lilly Ghahremani, the agency represents a wide range of children’s and adult authors. 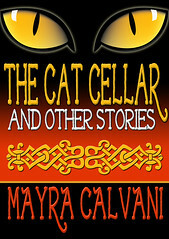 For more information, visit their website: www.fullcircleliterary.com. Novelist JD Seamus has lived and worked among some of the most amazing characters ever to have walked the Earth. After decades of working in the world of retail finance, e-commerce, and venture capital, Seamus began writing a series of novels based in Manhattan. With a keen eye for detail, Seamus takes to heart the old adage to “write what you know.” Borrowing from real life experience, Seamus delivers highly entertaining tales full of sparkling wit and dark humor. Whether pondering life’s most absurd or most wonderful moments, or showcasing a character’s foibles or triumphs, JD Seamus is dynamic new voice in the world of fiction. Seamus may make you blush, he may make you cry, but he will certainly leave you entertained.